creative advertising to communicate core messages across a broad audience. From conference rooms to retail, digital advertising is a way of educating and engaging consumers through unique content applications on a variety of products, services and messages.Over the next three years almost half of corporate AV budgets will be spent on digital signage and videoconferencing goods and services. 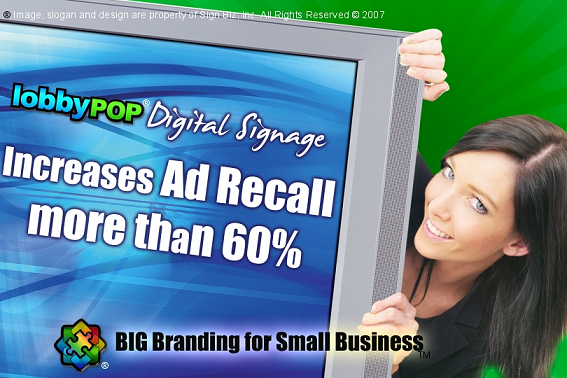 According to iSuppli, the U.S. digital signage industry is also expected to grow to $13 billion by 2010. (27%) and magazines (21%) and it’s easy to see why this medium can be very effective for marketers.